Container Market Report October 2018 | EF International Ltd. I could have hardly born the great intense heat of this summer. However, if I remembered now Hokuriku, San-in area was in heavy snow and cold days continued in Kanto area from the end of last year through February of this year. According to the Meteorological Agency, it was with a cause of “La Nina” phenomenon (the sea temperature of the neighborhood of Pacific equator of the South America Peru offing is lower than an average year). At the time of “La Nina ” it becomes cold in winter, on the contrary it will tend to become hot in the summer. That reminded me that it was the first time in history that the rainy season of Kanto, Koshinetsu area of this year was briefly and ended within June. 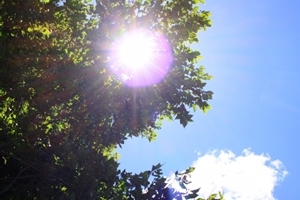 On July 23, Kumagaya-city, Saitama established the highest record of 41.1 degrees Celsius in Japanese observation history. The typhoon became larger in size and Japan has already been attacked by five typhoons out of 25 typhoons this year (3 per year in an average). On the other hand, Mount Fuji was snowcapped for the first time on September 26. I think that it would be very chill this winter in reaction of the intense summer heat as it was earlier 4 days from an average year and 27 days early from last year. However, it is a mild winter as “El Nino” phenomenon is expected to appear with probability of the outbreak of 60%? This heat had been recorded all over the world as well as Japan. Incredible temperature of 53.9 degrees Celsius was recorded in Basrah in Iraq. It was reported that long spell of temperature over 50 degrees Celsius lasted day after day from April to May in India/Pakistan. It is said that the days over 50 degrees Celsius is not rare in Kuwait, Algeria Mexico and in London it recorded the hottest day, 38 degrees Celsius in the past 350 years. Kebo (a city of the Arctic Circle) in Finland recorded 33.4 degrees Celsius. In the middle of Sep. hurricane “Florence” that struck North Caroline in east coast of North America brought 51 casualty by a deluge. Hurricane “Rosa” went ashore in the western part of Mexico, the Baja California Peninsula on October 1 had a wind velocity 38m and brought a flood warning in the US state of California, Arizona, Utah. A hurricane, a tropical cyclone give damage to the southwestern part of United States but it seems to unusually increase outbreak. A rare large-scale low pressure (Medicane) occured in the Mediterranean Sea in late September and it crossed Tunisia, Libya and brought flood damage there. It brought a heavy rain of 100-150 millimeters in the southern part of Greece, the western part of Turkey on 29th. It occurs a couple of times in Sep and Oct when an oceanic surface temperature of the Mediterranean Sea is high but it is a rare phenomenon in Europe. Unlike a certain romance time which I threw clogs and told the tomorrow’s weather when I was small, the movement of nature has been elucidated by scientific progress. It is obvious that global warming is artificially caused and changes the ecosystem. Does the affluent human life mean the same as human arrogance? It brings natural destruction and will threaten our life after all. The shipping lines are still in the pursuit of the scale and a change. CMA-CGM, No. 4 ranked shipping line seemed to have done a buyout offer to No. 5 Hapag-Lloyd and No. 7 Evergreen in succession. It has not lead to a concrete talk. At all events they could become the world ranking No. 1 or No. 2 if they could obtain either one. On the other hand, No. 1 Maersk Line stopped using the name of MCC Transport which is used in Asia district and Seago Line which is used in Europe district from Oct. 1 and decided to integrate into the brand name of “Sealand”. Maersk Line obtained Sealand in 1999. However, they stopped use its name after they purchased P&O Nedlloyd in 2006. But they reused it in America district in 2014. It is revival of “ Sealand” Brand. No. 3 ranked COSCO seems to acquire some share of the world No 2 ranked container manufacturer, Singamas early of 2019 from PIL who has 41.1% share of Singamas and No.11 ranked shipping line. COSCO just purchased No. 8 ranked shipping line of OOCL. On the other hand, COSCO owns 14.5% of the share of the world No. 1 ranked container manufacturer, CIMC. In addition, COSCO is also Major Share Holder of Florence who is proud of a scale of No. 3 largest leasing company in the world. Seaco is put up for sale. They are No.4 container leasing company in the world, approximately operating 2,430,000 TEU. HNA group is a parent company who purchased them $1.0487 billion from GE Seaco in 2011. In the past Seaco purchased Cronos in 2014. 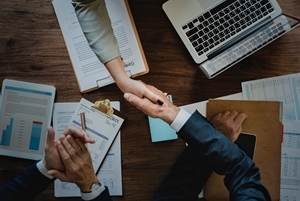 Parent company, HNA group intends to sell Seaco more than $1 billion in order to reduce of HNA group’s debt of $94 billion caused by the excessive M & A, investment. No.1 Triton, No.2 Textainer seem to show interest in Seaco purchase. Is really OK given by the Antitrust Law? Or is there anybody else? Is it destined whether they are considered to be selling by piece? 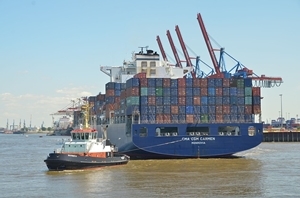 We must keep an eye on the movement of the container leasing industry. The new container price is $2,050 per 20f. 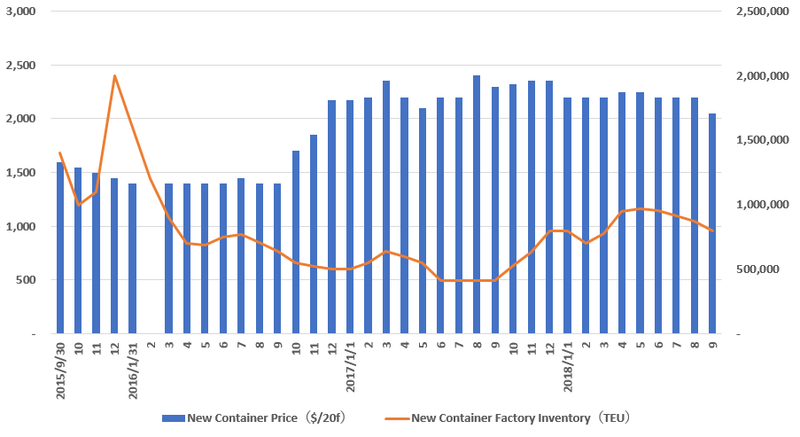 The new container factory inventory is about 800,000TEU (including Reefer of 45,000TEU). I decided to meet and talk him once because I thought that he could not be readily understood it even if I explained by an email. This kind of an inquiry was the first time. I was interested in him who would write a graduation thesis with such theme and I was surprised at him who had such a challenging mind. At first the necessary number of containers that the shipping line needs is subject to capacity of the total containerships they use. It is necessary to make the total number of containers minimizing by making as quick turnover as possible. However, a container shipping line has expanded their business area so that we could say that it would be determined by their business area. The number of container they use would increase if their activity go inland besides Port to Port. In that sense IT introduction would help a shipper know where the container is as well as shipping line to make a quick turnover of their container. The materials of the container turned into Corten Steel from Mild Steel in the late 80s and the container could endure repetition use more than ten years. The export from Japan to Europe and Norther America would be 70% of total Asia export in 1970~80s. Plaza agreement concluded in Sep. 1985 made Japanese Yen strong. As a result many factories moved from Japan to Korea and finally moving from Korea to China as the world factory called now. It is an inviolable rule to make the container in an export country. But the leasing ratio of each shipping line is subject to company policy so that it is different. A leasing company is a necessary partner of a shipping line in 1980 ~1990s. Therefore, shipping line could save their operation cost and concentrate on expanding the number of megaships according to increasing volume of export. The container demand of the 2000s surpasses supply so that a leasing company could not but set up a redelivery limitation and high DOC (Drop Off Charge) to the return from the shipping company at the place for settling the imbalance of the import and export to some extent. As a result, in the lease market, MLA declined, and a long-term lease became mainstream. It is essential for big data related to container movement to be computerized. Success and prosperity of a shipping line and a leasing company could hardly be thought without IT development. I feel nostalgic for having recorded the movement of the containers with a card until early 1980s. He said that he had already been committed the job by one of the blue chip company. So I am confident very much that my container life story would contribute him to complete his graduation thesis. *The new container price is subject to the one based on mass production order. * Although this data was acquired independently by EFI, we can not assume any responsibility for the influence caused by using this.